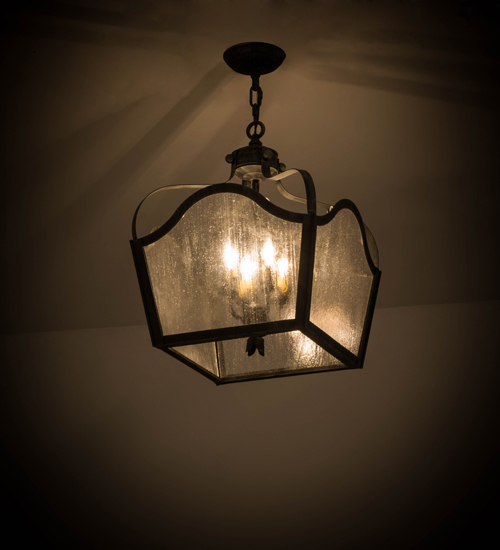 Description: Add a graceful design element to your interiors while conjuring up an effervescent atmosphere with this elegant pendant, which reveals Clear Seeded Glass and a shapely frame with decorative accents featured in an Antique Iron Gate finish. Custom crafted by artisans in our 180,000 square foot manufacturing facility in Yorkville, New York, this fixture can be specified as to the style, size, and finish personalizing each as a one of a kind piece or create in a single theme for an entire home or venue. The pendant is UL and cUL listed for damp and dry locations.